Breast cancer is known to be one of the leading causes of cancer death in women. Breast conditions and problems are also common in women all over the world. 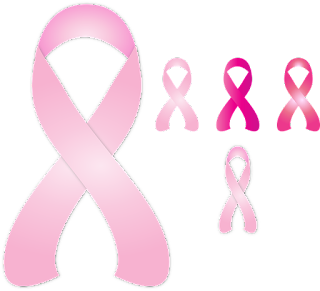 That is why great focus has been given in maintaining breast health and preventing breast cancer. As the saying goes, prevention is always better than cure. Therefore, it makes more sense that women go through the necessary measures to make sure that their breasts remain healthy. Staying up late at night, can result in greater exposure to night light, which suppresses melatonin levels. This can cause problems because studies suggest melatonin may help in regulating estrogen. Get sleep early and get at least seven to eight hours of sleep. Dark chocolate is known to have many health benefits compared to other types of chocolates. Studies show that dark chocolate contains cancer cell-fighting abilities, which means it helps prevent the development and spread of cancer. Although not really a cure, it is for the prevention from cancer. Therefore, eating dark chocolate will not only help keep your heart healthy, but it will also help in preventing cancer cells from forming. Exercise is important for your breast health for many reasons. Exercise helps in maintaining a healthy weight and obesity has been associated to an increased risk of all cancers, including breast cancer. Also, exercise increases lymph flow and circulation which help the elimination of toxins in the body. It helps encourage proper hormone function and production, which can help balance the presence of excess estrogen in the body. The American Cancer Society recommends at 150 minutes of moderate-intensity exercise weekly, which is spread out for the week. Any kind of cardio exercise will do, so you can hit the nature trail or go biking. If your time is limited, doing high intensity exercise for at least 75 minutes a week will have the same benefit. Extra pounds is equal to an increase in estrogen production. Always remember to stay within the healthy range for your height. Studies have shown that women who drank more than three drinks a day had 1.5 times the risk of developing breast cancer as compared to non-drinkers. Keep it to one serving daily or less, like 1.5 ounces of hard liquor, 5 ounces of wine and 12 ounces of beer. Consume a well balanced, nutritious and natural. Avoid junk food as much as possible. Eat plenty of green leafy vegetables and reduce consumption of red meat. Green leafy vegetables are rich in carotenoids, which are natural pigments that often serve as antioxidants. Go for orange and yellow fruits and vegetables that are rich in the antioxidant beta-carotene, which helps reduce the possibility of breast cancer. Not consuming enough folate, the naturally occurring form of folic acid, is associated with impaired ability to repair DNA. Damaged DNA has been linked to cancer. Folate is found in foods like black-eyed peas and spinach, as well as in folic-fortified cereals and grains. Try to get 400 micrograms daily.